Do you think this has any impact on the craft beer scene? The second largest craft brewer in the country, Samuel Adams is unveiling a nitro line of beers. “I want to keep shocking people a little bit,” Jim Koch, founder of Boston Beer Co., told Fortune. The Boston Beer Co., maker of Samuel Adams beers, is expanding its focus. The company, on Monday, will formally announce plans for a series of nitrogen-carbonated beers – arguably the biggest addition to the Samuel Adams lineup in years. The beers – a white ale, an IPA and a coffee stout – will begin distributing nationally in February 2016. 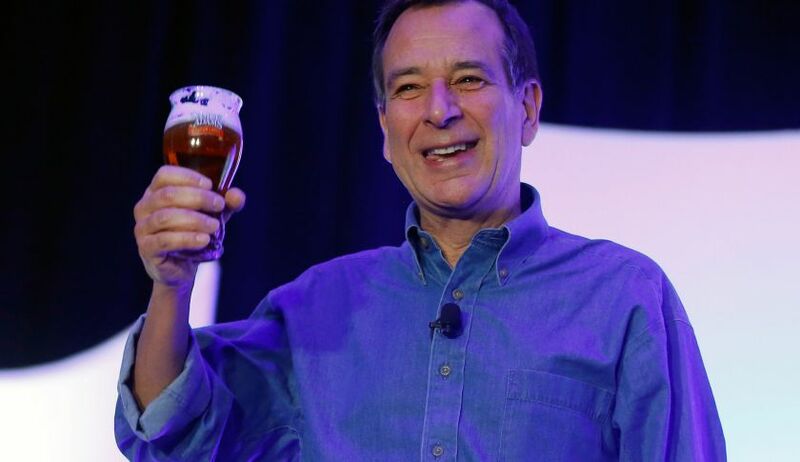 “I want to keep shocking people a little bit – opening them up to explore the brewer’s art and, as a brewer, expand the boundaries of the brewers art,” Jim Koch, founder and chairman of Boston Beer Co., told Fortune at the Great American Beer Festival. Nitro beers have largely been the domain of stouts and porters for years. (The most popular nitro today is Guinness Extra Stout.) While it’s not uncommon to find a nitro beer at a bar or brewery, very few brewers sell them in cans or bottles. Koch says the Samuel Adams nitro beers will be sold on draft and in cans with a ‘widget’ inside, a plastic, nitrogen-filled sphere that creates the same effect as nitro on draft. The move is more than just adding another beer to the company’s substantial lineup. It involves the different type of canning system and substantial investment by the company. As a result, Koch says this will be a national, rather than a regional rollout. The nitro beers will be released in 15.2-ounce cans. The company has been quietly working on the initiative for years, says Koch, testing between 50 and 80 beers before settling on the three it will release. The move to nitro by Samuel Adams follows a recent announcement that Guinness plans to release a nitro IPA this month. While Samuel Adams didn’t have its nitro IPA on tap for tasting, it did invite attendees to a brunch on Friday for a taste of the Nitro White Ale. The beer was very smooth on the palate with a hint of orange and subdued spice. Samuel Adams is the second largest craft beer brewer in the country, though its formal classification as a craft brewer isat risk these days, as Congress contemplates formal definitions for the term. Koch says he’s not aiming to bring in a new audience with the nitro beer line. Instead, he said, he’s looking to expand the options for nitro fans – and the craft beer drinker who’s always looking for something new.